Adult Entry Fee 1700 Rs. Our Yoga Teacher Training Course approaches Hatha Yoga traditionally as described in the ancient text the Hatha Yoga Pradipika. You will practice and experience the physical and spiritual teachings of this ancient system of Yoga with emphasis on awareness, breath, and ways. In which to bring this practice and philosophy into your daily life.The 200 hour hatha yoga teacher training course includes the practice and study of a variety of traditional Hatha Yoga poses. As well as asana, the course includes kriyas (cleansing practices), pranayama (breathwork), meditation and philosophy. As well as Alignment and Adjustment to ensure a fully holistic approach. It is said that the best way to teach is from your own experience. In this course will give you a true understanding of how each of the traditional Hatha yoga practices impacts upon your mind, body and spirit. 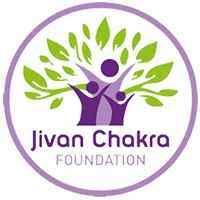 The Jivan Chakra 200 hour yoga teacher training in Rishikesh provides an environment dedicated to students’ growth and practice, and prepares. The participants with the tools and confidence necessary to teach and inspire their own students. The 200 Hour Yoga Teacher Training in india is open to all levels of practitioner whether beginner, intermediate or advanced. They will enable you to build a strong foundation for your teaching and personal practice. Upon completion of the programme participants receive 200 hour Yoga Alliance certification. 200 hour ashtanga vinyasa yoga teacher training rishikesh at sri yoga ashram offers residential yoga classes in india.